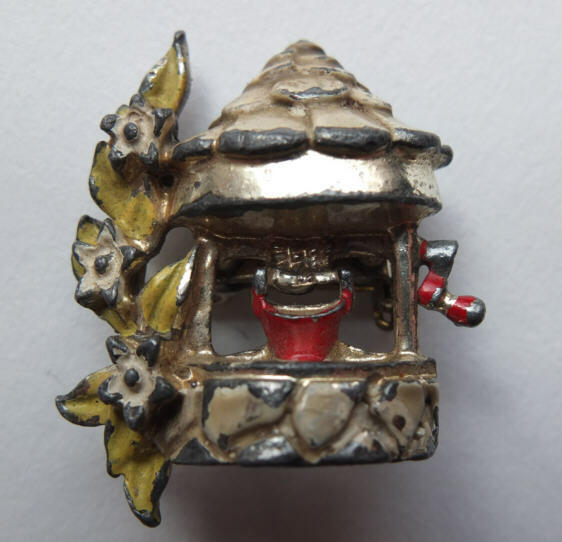 Kittens, Brooches, and More – Oh My! | Oh, for the Love of Vintage! Over the weekend, I went to an antiques fair and was overwhelmed! I wish I had taken my camera so you could have seen all the gorgeous items. There was a ton of household items, depression glass, books, lamps, furniture and several dealers in vintage jewellery. I saw a few amazing Miriam Haskell pieces and nearly cried because I couldn’t afford them. 😦 Also, I spotted several gorgeous carved red Bakelite bangles. 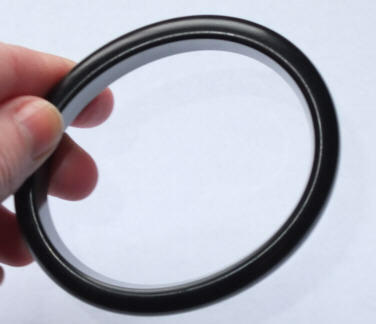 Prices starting at $110 per bangle! Atrocious and inflated prices are very common at Antiques fairs. I always think in my head ‘I hope the dealer loves this item because they’re going to be stuck with it for a long while.’ I’m on a very strict budget at the moment, but still managed to purchase a few cute items. This little porcelain kitten was meowing to me. He didn’t want me to leave him there at the sale. 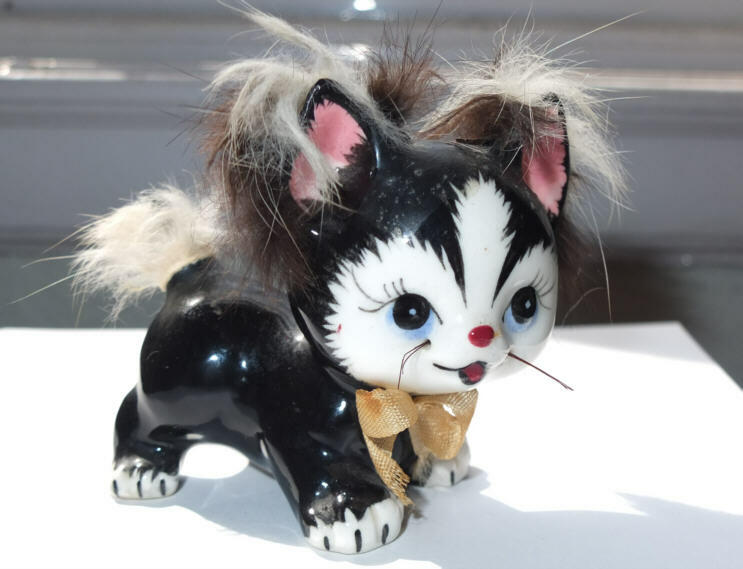 He’ll get along perfectly with the rest of my kitty knick-knacks! As you know, I’m a sucker for brooches, especially novelty ones. 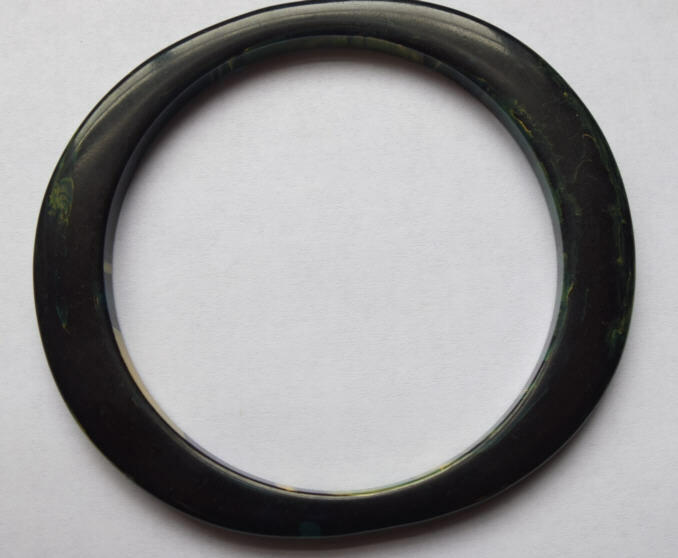 A lovely and unique black oval Bakelite bangle, purchased for $4. 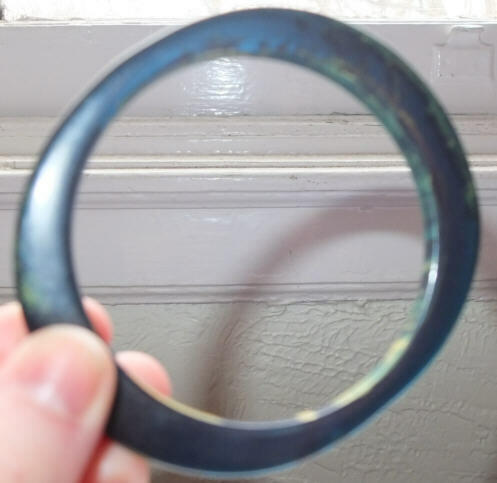 A rare green-blue marbelized Bakelite spacer bangle. It looks green in natural light and blue in direct sunlight, purchased for $3. Leave a comment and tell me, or link to a recent blog post of yours where you show your recent purchases. I’d love to see them! Ohhhh, I love that pen pin! You really do have the cutest novelty pins! « Oh, for the Love of…Vintage Aprons!